Cory Whitsett, attending the University of Alabama, won the inaugural Patriot All-America Invitational shooting 69-64-66=199. 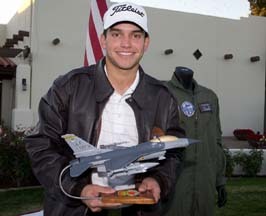 Cory honored Air Force Senior Airman Mark A. Forester. Forester was a member of the 21st Special Tactics Squadron and was killed in Afghanistan while attempting to save a fallen comrade. Following the Patriot All-America, Cory went on to win the 2013 NCAA National Championship, became the #1 amateur player in the world according the World Amateur Golf Rankings, played on the 2013 US Palmer Cup team and the 2013 US Walker Cup Team. He turned professional in 2014. 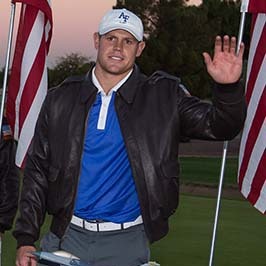 Sebastian Cappelen, attending the University of Arkansas, won the 2012 Patriot All-America Invitational shooting 68-70-68=206. During the championship he honored Army 1st Sgt. Blue C. Rowe who grew up in Siloam Springs, Arkansas. Rowe was killed in Afghanistan on May 26, 2009, when a suicide bomber in an explosives-rigged car rammed into his convoy. While attending the University of Arkansas, Sebastian was a four-time All-American and won four times including the 2013 SEC Championship and the Crooked Stick Intercollegiate. He turned professional in 2014. 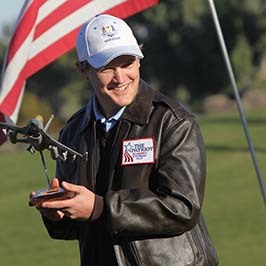 Kyle Westmoreland, attending the United States Air Force Academy, won the 2013 Patriot All-America Invitational shooting 67-69-69=205. During the championship he honored Air Force Major Lucas Gruenther who died during a training mission over the Adriatic Ocean January 28, 2013. 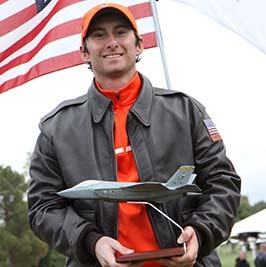 During his career at the Air Force Academy, Kyle had 11 top ten collegiate finishes including 1st in the Gene Miranda Falcon Invitational and 2nd in the Ogio UC Santa Barbara Intercollegiate. He also finished 4th in the 2013 Southwest Amateur and was medalist in the 2013 US Open Qualifier in Colorado Springs. Kyle graduated from the Air Force Academy in 2014. In July 2015 he played as a professional in the Colorado Open finishing in a tie for 19th shooting 71-65-70-74=280. 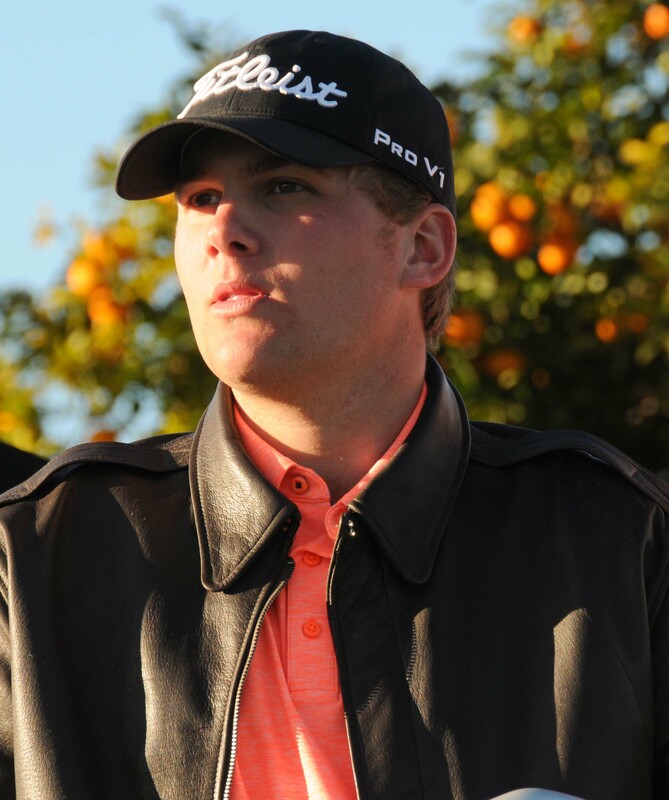 Kyle Kochevar, attending the University of Virginia, won the 2014 Patriot All-America Invitational, shooting 72-69-68=209 on a cold cloudy day that had temperatures hovering around 40 degrees. Following 54 holes, he found himself tied with George Cunningham from the University of Arizona. It took one extra hole for him to seal the win. During the championship he honored Army Captain Clayton L. Adamkavicius who died April 21, 2006 during Operation Enduring Freedom from injuries sustained from enemy small-arms fire during combat operations in Abu Ghurayb, Afghanistan. Kyle has played in 3 Patriot All-America Championships and is currently a senior at the University of Virginia. He plans to defend his title at this year’s event. University of Mississippi’s Braden Thornberry shot an even-par, final round 71 and 2-under (211) for the tournament to win The Patriot All-America Invitational on the Gold Course at The Wigwam in Litchfield Park, Ariz. Adam Wood from Duke University with a final round 73 (212) and David Kocher from the University of Maryland with a final round 69 (212) tied for second place. 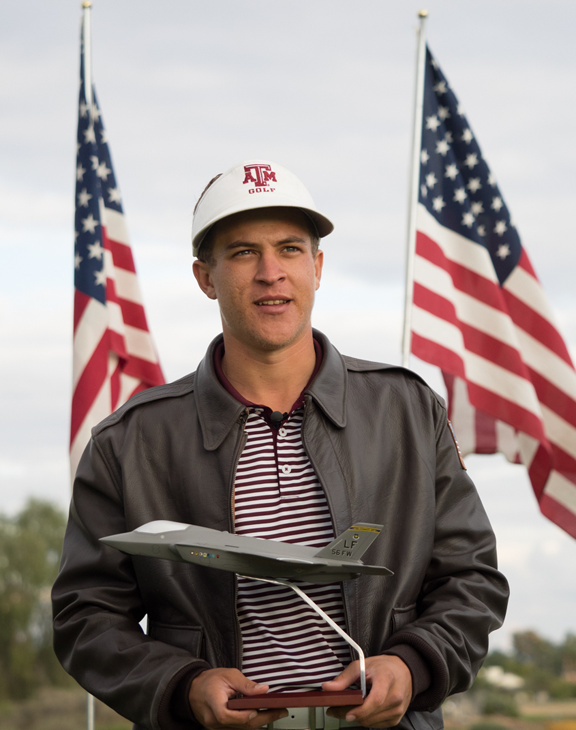 Cameron Champ from Texas A&M knocked in a one-foot putt for par on the second playoff hole to win the 2016 Patriot All-America Invitational over Zachary Olsen of Oklahoma State. Champ entered the final round tied for sixth, three-shots back of second round leader Sahith Theegala. During his final round, Champ shot a 4-under par 66 (203) that included six birdies and two bogeys to get into the playoff. Meanwhile, Olsen entered the final round tied for eighth, four-shots back. Olsen shot a 5-under par 65 (the best round of the day) to qualify for the playoff. During the playoff, both Champ and Olsen made par on the 488-yard, par-4 first hole. On the second playoff hole, a 391-yard par 4, Champ put his second shot to within 15-feet, while Olsen had a 20-foot putt for birdie. Both golfers missed their birdie putts. Olsen lipped-out a three-foot comeback putt for par, while Champ knocked-in his one-footer for the win. 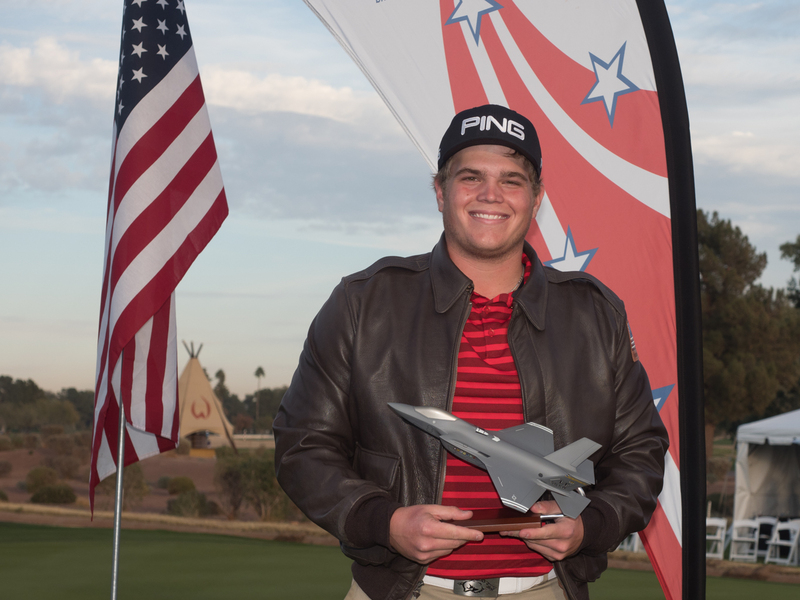 Mason Overstreet, a sophomore at the University of Arkansas, shot a final round 6-under par 64 to finish at 11-under par (199) for the tournament and win the 2017 Patriot All-America Invitational at The Wigwam in Litchfield Park, Ariz. Overstreet, who is currently ranked 118th in the World Amateur Golf Ranking and is from Kingfisher, Okla., played in honor of U.S. Army Sergeant Jesse J.J. Castro. Castro was killed during Operation Iraqi Freedom when an improvised explosive device detonated near his vehicle while on patrol in Hawijah, Iraq. Each golfer playing in The Patriot All-America honors a fallen or severely injured soldier by carrying a golf bag bearing the name of that soldier. Before the tournament, participants receive a card with the soldier’s story, so they can be familiar with who that person was, what they represented and how they were killed or wounded in action.